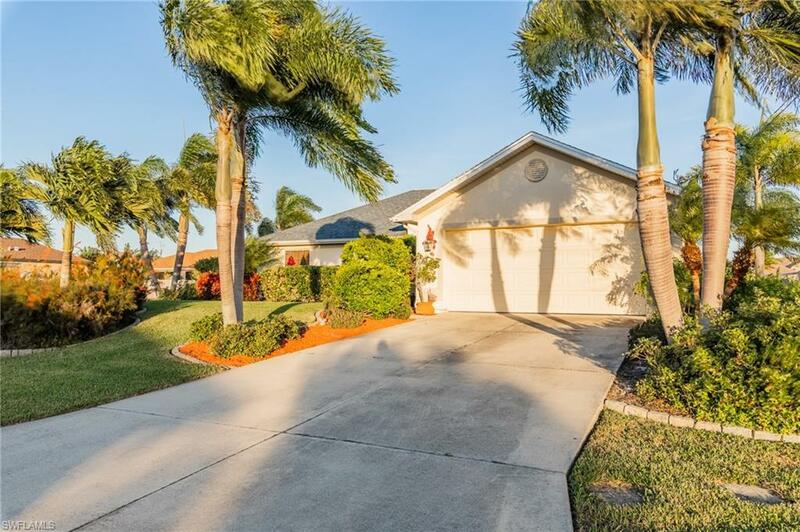 Spectacularly updated 4 bedroom, 2 bath home in NW Cape Coral! 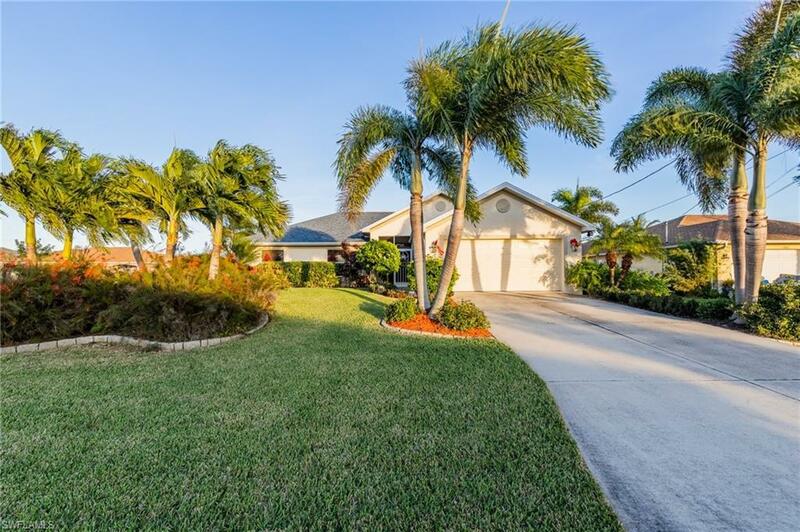 This home is nestled in with the beautiful waterfront homes just off Yucatan and Burnt Store Rd. 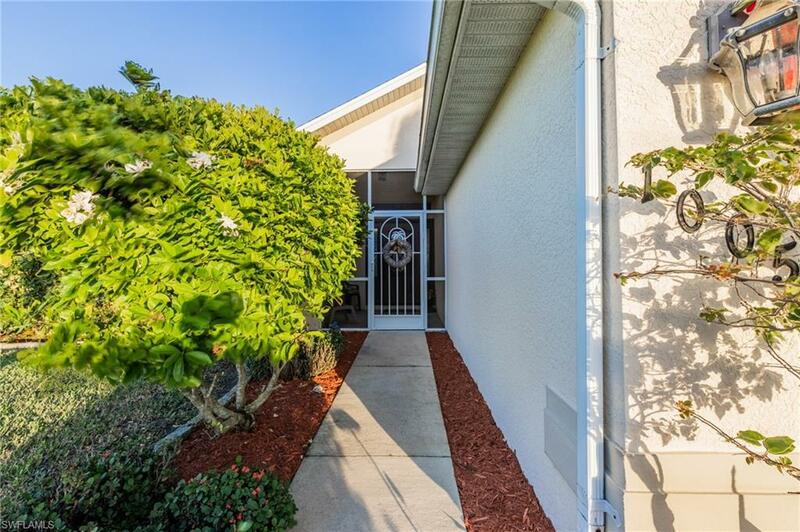 As you enter through the screened front entry into the welcoming foyers you are greeted with 18" tile laid in a diagonal in this beautiful home! Kitchen boasts granite counters, and wooden cabinets, with plenty of space. New appliances and reverse osmosis.New lighting in kitchen as well. Main bath has been recently updates with granite and new tiled shower. Large laundry room, and 2 car garage with extra storage. 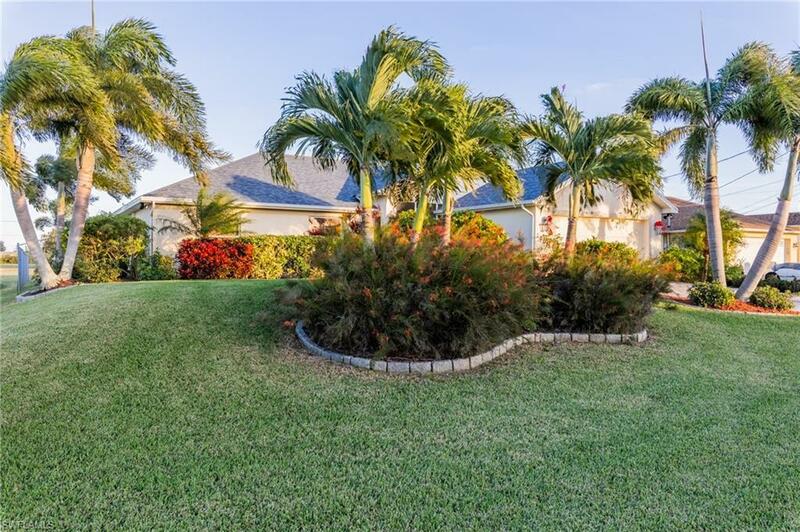 Gorgeous plush mature landscaping and granite curbing give this home stunning curb appeal. New AC, roof, hot water heater. Motion lights are installed through the exterior of the property. Large fenced back yard has plenty of room for a future pool. This truly feels like a new home and completely move in ready. Listing courtesy of Wendy Harpp of Re/Max Realty Team.